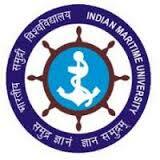 The Indian Maritime University, established through an Act of Parliament (Act 22) in November 2008 as a Central University, is poised to play a key role in the development of trained human resource for the maritime sector. (i) to facilitate and promote maritime studies, training, research and extension work with focus on emerging areas of studies like oceanography, maritime history, maritime laws, maritime security, search and rescue, transportation of dangerous cargo, environmental studies and other related fields, and also to achieve excellence in these and connected fields and other matters connected therewith or incidental thereto. (v) to extend the benefits of knowledge and skills for development of individuals and society by associating the University closely with local, regional and national issues of development.